Author(s) Case, Linda P.; Case, Linda P.
Linda P. Case earned her B.S. in Animal Science at Cornell University and her M.S. 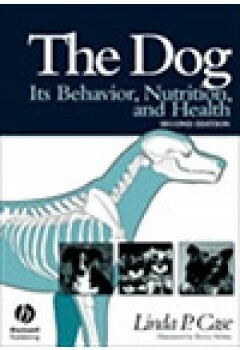 in Canine/Feline Nutrition at the University of Illinois. She teaches companion animal science and behavior in the Animal Sciences Department and at the College of Veterinary Medicine at the University of Illinois. She owns AutumnGold Consulting, which provides support and technical writing services in companion animal care, behavior, and nutrition. She and her husband own and operate AutumnGold Dog Training Center, in Mahomet, IL. Linda is a member of Delta Society, the Association of Pet Dog Trainers (APDT), the American Society of Animal Scientists (ASAS), and is a certified instructor with the National Association of Dog Obedience Instructors (NADOI). She and her husband share their lives with three dogs and three cats and enjoy distance running, hiking and traveling with their dogs.